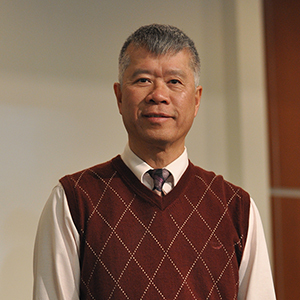 Pastor Alan was born and raised in Hong Kong. He came to the U.S. in 1974 to study at the University of Kentucky, where he received a degree in mechanical engineering and a Master’s in engineering mechanics. He earned his Masters of Divinity in 1992 at Western Seminary in Portland with the highest honors. He has served as a pastor for 20 years in Canada and the U.S. 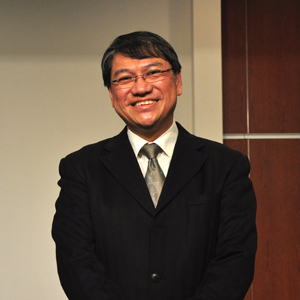 He most recently served in Seattle for nearly five years before starting at LACAC as the senior pastor in 2012. Pastor Alan enjoys working out in a local gym, reading with a fresh cup of coffee, and his newest hobby of collecting Starbucks coffee mugs from different cities. He and his wife Helen have been married for 30 years and have two kids, Danielle and Zachary. And they also have a cute little Pomeranian Carmel. Accepted Christ as his personal savior when he was 10 years old. What’s your favorite thing about living in Los Angeles? The weather! What’s one of your favorite childhood memories? Going to church. Keone was born and raised in Hawaii. A graduate from the University of Washington with a degree in psychology and a master’s in public health. He later went to Multnomah Biblical Seminary where he received his Masters of Divinity, where he met his wife, Ja-Hye. Keone enjoys fishing, snowboarding, a great game of volleyball and playing with his two children. I was born on the kitchen floor. My favorite bible verse is James 1:2-8. My favorite thing about living in Los Angeles is all the good food! One of my favorite childhood memories is playing sock wars with my father. 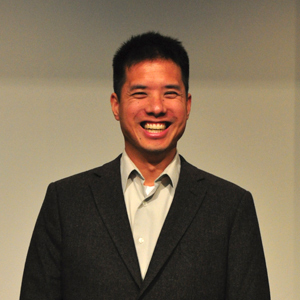 Kenny Yu has attended LACAC since 1986 and became a member two years later. What he loves most about LACAC is the love he sees among the members. He also loves to watch and play all kinds of sports, except golf. Kenny and his wife, Sharon, have three adult children they adore. Favorite childhood memory: Playing soccer in a field with lots of cows and manure!